UFC middleweight contender Paulo Costa has been the subject of several doping rumors of late, thanks in large part to the recent comments of his would-be opponent Yoel Romero. While it now sounds like stomach medication could be the reason for Costa’s recent brushes with the United States Anti-Doping Agency (USADA), however, his recent opponent Uriah Hall feels there could actually be more at play here. “I was supposed to fight that dude a while back,” Hall said on Bloody Elbow’s Pull No Punches podcast (transcript via MMA Mania). “He pulled a bicep muscle and I was like ‘What?’ Listen, s**t is going on under the radar here. I don’t know why, I have a feeling, but we’re not stupid. 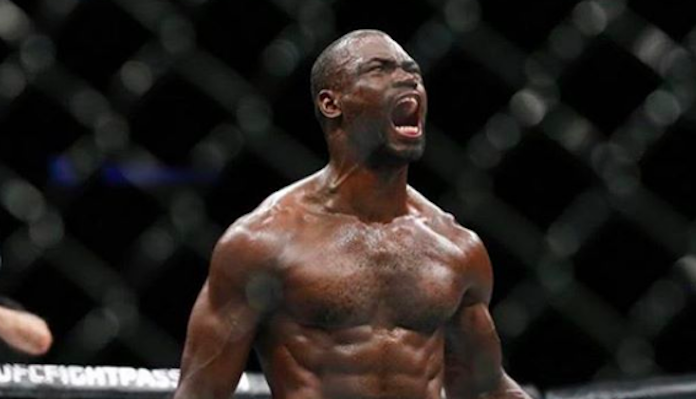 Uriah Hall and Paulo Costa fought in July of 2018. On that night, Hall enjoyed some early success, but was already overwhelmed and stopped in the second round by his fearsome Brazilian opponent. Since then, Hall has rebounded with a knockout defeat of Bevon Lewis. Costa, meanwhile, has not fought since, despite being scheduled to fight Romero on several occasions. What do you think of these comments from Uriah Hall? Do you think there is potentially some nefariousness at play between the UFC and USADA? Join the conversation in the comments section. This article first appeared on BJPENN.COM on 4/11/2019.